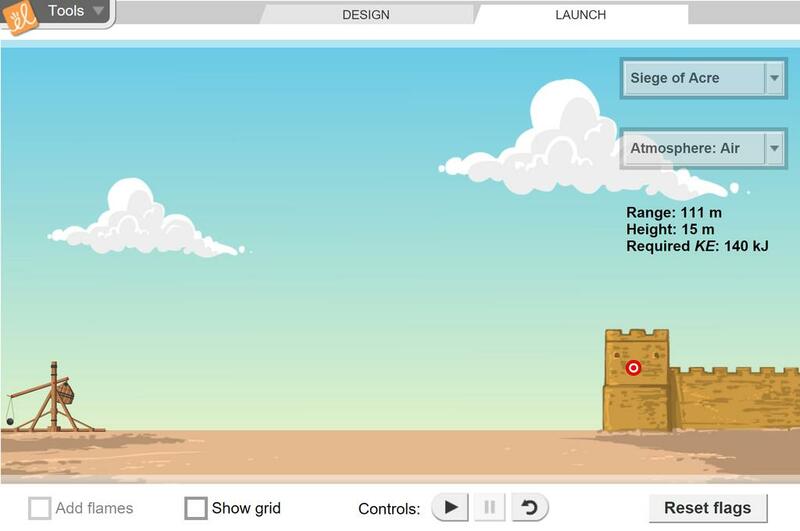 Design your own trebuchet to fling a projectile at a castle wall. All of the dimensions of the trebuchet can be adjusted, as well as the masses of the counterweight and payload. Select a target on the Launch tab, or just see how far your projectile will go. Students will investigate the interaction of launch angle, initial speed, potential energy, and kinetic e... (more)nergy of an object's projectile motion. The kids in my Adv Science class really enjoyed this. They were having the best discussions regarding their designs.